A global leader in renewable energy, ideally, Germany should be a leader in electric cars as well. Instead, it’s a laggard — at least from my own anecdotal perspective. I just finished a fantastic four-week vacation with my two wonderful — bilingual 🙂 — daughters in Deutschland. We drove 2,000 kilometers during that time and visited big cities such as Hamburg, Berlin and Stuttgart, mid-size cites such as Augsburg and Ulm, and small towns such as Nordhausen and Sondershausen. Across four weeks and 2,000 kilometers of driving — in a gas-powered rental Ford Fiesta, by the way :-(, we saw just 10 electric cars. One of these was the BMW i3 my second cousin in Nordhausen owns (the others: 5 Teslas, 2 additional i3s, 1 Nissan LEAF, and 1 Opel Ampera, known in the U.S. as a Chevy Volt). I regularly see a lot more electric cars driving here in Colorado — which is only a bit smaller than Germany, but which has 15 times fewer people — than in the land of beer, sausage, and fast cars. Meanwhile, I was totally stoked by all of the renewable energy I saw: Wind farms, solar farms, and, in case, after case, after case, wind farms + solar farms in the same place. 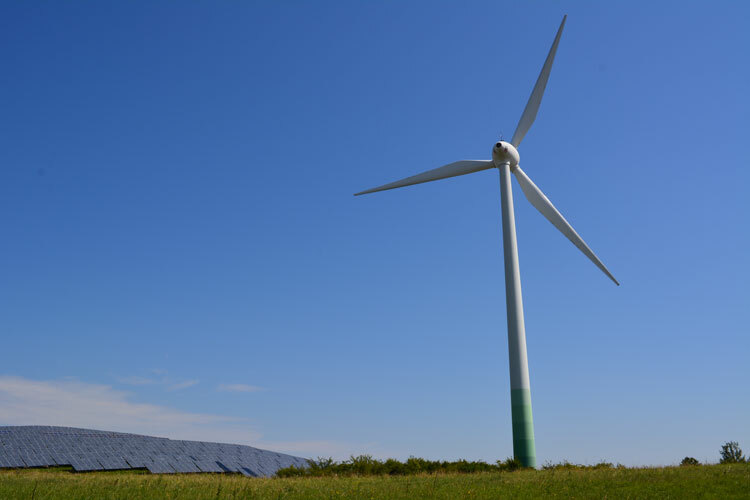 This is something I’ve never seen in the United States, though I know that in California at least, there are some instances where wind turbines and solar farms have been placed together. 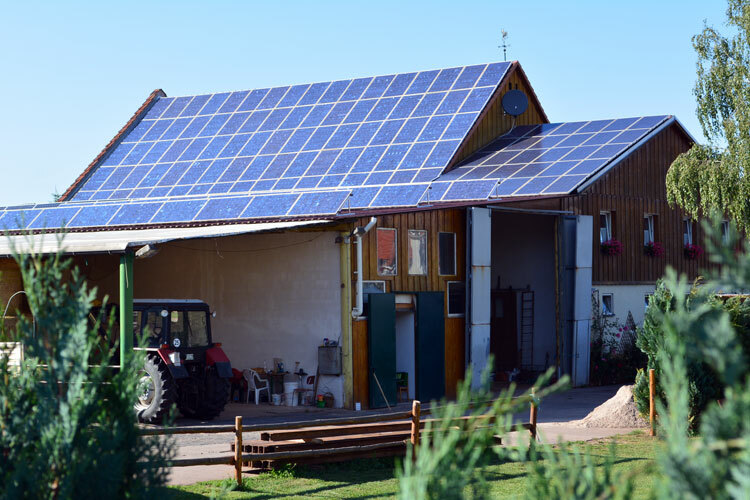 Solar rooftops — a TON of them — are everywhere in Germany, way, way, way, way more common than here in Colorado, as well. Sadly there were virtually no electric cars to plug into an increasingly renewable energy powered grid — for a short time on a late July day when we were in Germany, the country hit 75 percent of electricity produced by renewable sources. Why so few electric cars in the land of renewable energy? 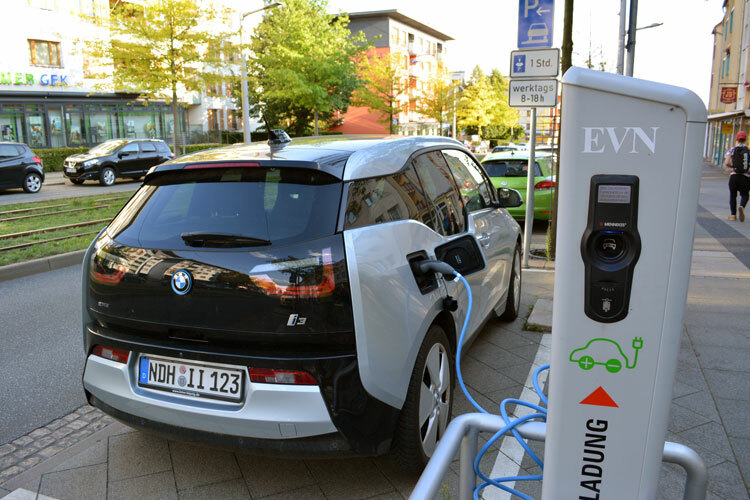 First, the German government doesn’t offer any real financial incentives for electric car buyers [there are indirect incentives, such as special access to certain driving lanes, etc.]. Second, German car culture, or what might be more aptly described as the ‘Autobahn Culture’, is standing in the way of EV adoption in Deutschland. According to this Autobahn Culture — the “only” cars worth owning are mid to large-size BMWs, Mercedes, Audis, VWs, and, if you can afford one, a Porsche, all of which are to be driven at insanely fast speeds on the Autobahn, large stretches of which do not have a speed limit. Everything else is second class, less than, etc. These car makes — BMW, Mercedes, Audi, VW and Porsche — were inevitably the makes I saw being driven at 200 km/h, or more, in the left lane of the Autobahn. All of these car makes are, of course, G-E-R-M-A-N. In other words, there is an ingrained nationalism that strongly favors fast German gasoline cars underlying the Autobahn Culture in Germany. This is making it VERY difficult for electric cars to take hold in Deutschland. Obviously, Tesla makes some damn fast cars. In theory, Teslas should be very attractive to Germans given their thirst for speed. But Tesla is an American auto maker, not a German one. The P85D can beat virtually all of the BMWs, Mercedes, Audis, VWs and even Porsches that chased me out of the left lane on the Autobahn at my “lame” speed of 130 km/h (81 mph) — loligagging in the left lane of the Autobahn is TOTAL VERBOTEN (not to mention just plain dangerous) — in a 0 to 100 km/h race. BUT that’s not what counts in Autobahn culture. What matters is how smoothly and quickly you can rush from at 140 to 220 km/h. In this department, Teslas don’t hold any significant advantage over the BMWs, Mercedes, Audis, VWs, and Porsches you see racing at crazy speeds on the Autobahn. The BMW i3 is quick — I drove my second cousin’s i3 in Nordhausen — he told me it’s the ONLY i3 in the city of 50,000. It’s also a BMW. But it doesn’t have the prestige of a BMW 5 or 7 series. Given Germany’s cultural fixation with fast German gasoline cars, I don’t think the i3 has much of a chance of supplanting its ICE counterparts in at the heart of German Autobahn Culture anytime soon.